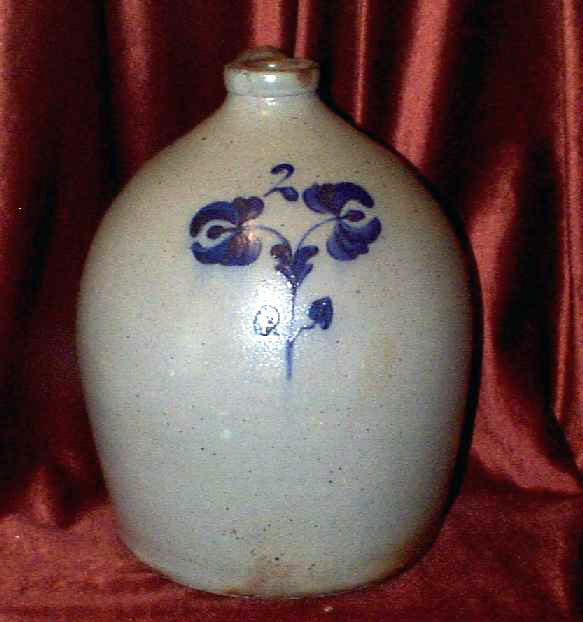 Presented here, an unmarked 2 Gallon Jug with Cobalt Double Rose Decoration. The jug is in very fine condition with the only apology being a small flake on the neck of the jug that shows on the left in the picture above. The Cobalt decoration is very strong and very well done.